Paris Photo and Aperture Foundation have announced The Paris Photo–Aperture Foundation PhotoBook Awards. This year, the Awards will focus on two major categories: First PhotoBook and PhotoBook of the Year. A preselected shortlist of thirty titles will be profiled in The PhotoBook Review; and exhibited at Paris Photo at the Grand Palais and at Aperture Gallery in New York. The deadline for entries is 10th September. Publishers and photographers can enter online at the website below. Paris Photo and Aperture Foundation announce The Paris Photo–Aperture Foundation PhotoBook Awards, celebrating the book’s contribution to the evolving narrative of photography. As a precursor to these awards in 2011, Paris Photo presented a selection of sixty books published over the last fifteen years, chosen by Harper Levine, Antoine de Beaupré, Markus Schaden, Hisako Motoo, and Satoshi Machiguchi. This list was presented in the inaugural issue of The PhotoBook Review, and the award for best book of the past fifteen years was given to Paul Graham’s Shimmer of Possibility, published by SteidlMACK. This year, The Paris Photo–Aperture Foundation PhotoBook Awards will focus on two major categories: First PhotoBook and PhotoBook of the Year. A preselected shortlist of thirty titles will be profiled in The PhotoBook Review; will be exhibited at Paris Photo at the Grand Palais and at Aperture Gallery in New York; and will tour to other venues, to be determined. The initial selection will be made by Phillip Block, Deputy Director of Programs and Director of Education at the International Center of Photography; Chris Boot, Executive Director of Aperture Foundation; Julien Frydman, Director of Paris Photo; Lesley A. Martin, Publisher at Aperture Foundation; and James Wellford, senior international photo editor at Newsweek magazine. A final jury in Paris, including Els Barrents, Director of the Huis Marseille; Roxana Marcoci, Curator of Photography at the Museum of Modern Art, New York, and Curator of the Paris Photo 2012 Platform; Edward Robinson, Associate Curator of Photography at Los Angeles County Museum of Art; and Thomas Seelig, Curator of the Fotomuseum Winterthur, will select the winners for both prizes, which will be revealed at the opening of Paris Photo on November 14, 2012. “For many photographers, the photobook is an end in itself—the printed medium is both a vital creative impetus and a preferred mode of dissemination. Whether conceived in collaboration with a publisher and graphic designer or self-published, the printed volume serves as an expressive platform, allowing photographers to direct a viewer’s approach to their work in a cohesive and definitive manner. The Paris Photo–Aperture Foundation PhotoBook Awards are a means of championing this important and growing medium,” says Julien Frydman, Director of Paris Photo. In addition to the prize and the exhibitions of shortlisted books, Paris Photo at the Grand Palais will also host the exhibition Livre ouvert, featuring prints of Bernd and Hilla Becher, presented alongside the works from the exhibition Bernd & Hilla Becher-Printed Materials, 1964–2010. As always, the fair will dedicate a space to publishers and specialist booksellers, and present newly listed titles, old and rare books, as well as limited editions. Numerous signing sessions with photographers are organized during the five-day event. Paris Photo and Aperture Foundation have joined forces to launch The Paris Photo–Aperture Foundation PhotoBook Awards. Thirty shortlisted entries will be exhibited, and the winners will be announced, at Paris Photo, November 14–18, 2012, at the Grand Palais. PhotoBook of the Year will be given to the author/editor/featured artist/photographer of a photobook, and its publisher, deemed by the jury to be the best of 2012. Twenty books from this category will be preselected, presented to the jury for the final selection and exhibited during Paris Photo. 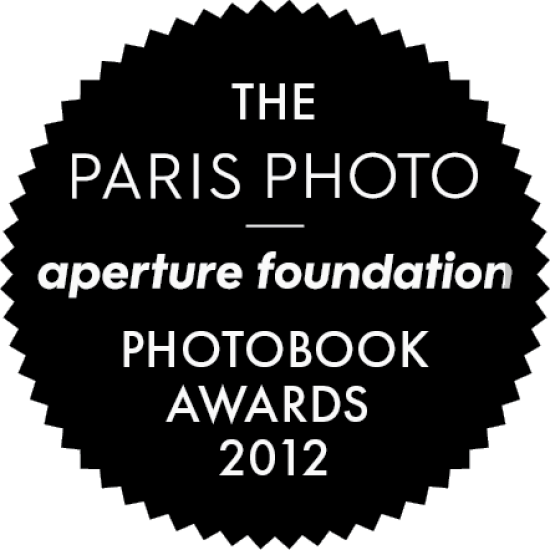 Publishers and photographers can enter online at www.aperture.org/photobookawards beginning today. Entries will not be accepted after September 10, 2012. The award entry site was developed using the AwardEngine CORE system. This system was created by Thoughtbubble who develop, manage and host entry systems for some of the leading award shows in the world (including the Cannes Lions, the Clio Awards, the Hollywood Reporter Key Arts Awards and the Sony Radio Academy Awards). The awards will be judged in two stages. An initial jury will meet in New York to select the shortlisted entries in both categories. Jurors will include Phillip Block, Julien Frydman, Chris Boot, Lesley A. Martin, and James Wellford. The final winners will be decided by a separate jury that will meet in Paris before Paris Photo begins, including Els Barrents, Roxana Marcoci, Edward Robinson, and Thomas Seelig. The preselection of thirty books will be announced mid-September and showcased on both the Paris Photo and Aperture Foundation websites. The top award-winners in each category will be selected in Paris by a jury at the beginning of the fair. The winners will be announced during the opening day, on November 14, 2012. The winning photographer for the First PhotoBook category will receive a $10,000 prize. The third issue of The PhotoBook Review, published by Aperture, will be launched at Paris Photo, and will present the thirty preselected books. The thirty shortlisted books will be displayed during Paris Photo at the Grand Palais in the publishers’ dedicated space. After Paris Photo, the exhibition will travel to Aperture Gallery in New York, and to other venues to be determined.